5. 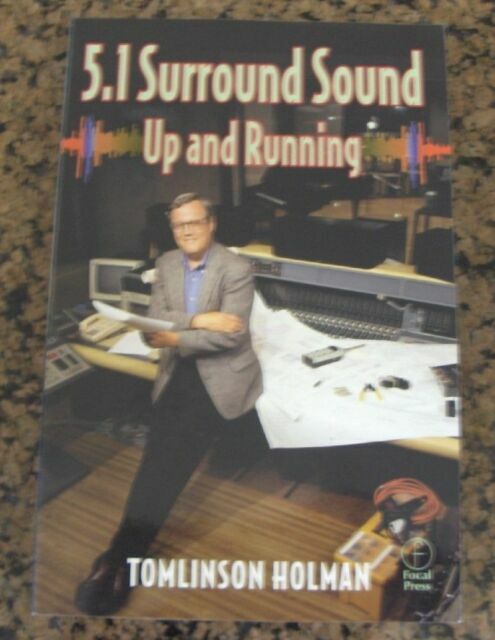 1 Surround Sound : Up and Running by Tomlinson Holman A copy that has been read, but remains in excellent condition. Pages are intact and are not marred by notes or highlighting, but may contain a neat previous owner name. The spine remains undamaged. At ThriftBooks, our motto is: Read More, Spend Less. 5.1 Surround Sound: Up and Running offers a wealth of practical information for recording engineers. It examines such topics as loudspeakers, room acoustics, bass management, as well as a variety of available microphone and recording techniques and tips for postproduction. A thorough study of distribution formats, including an overview of existing and emerging media, and the psychoacoustics of multichannel sound complete this book. multichannel or surround sound involves recording sound on five separate channels and playing it back through an array of speakers. Developed a few years ago for the home theatre market, it is only now being introduced to the music industry with the acceptance of the new DVD audio format. This is the hottest topic in the music recording business, and it will require a major conversion on the part of the studios. Offering information for recording engineers, this book examines such topics as loudspeakers, room acoustics, bass management, as well as a variety of microphone and recording techniques and tips for postproduction. It also presents a study of distribution formats, including an overview of media, and the psychoacoustics of multichannel sound.